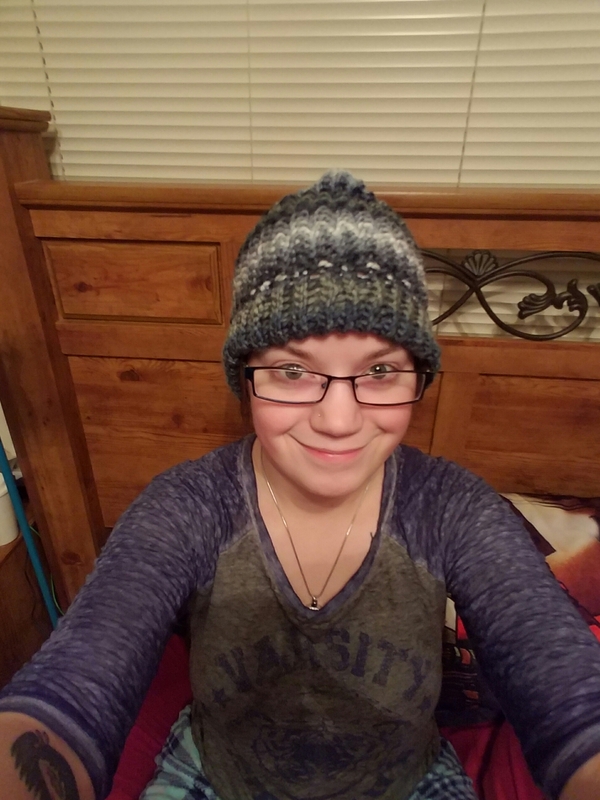 I finished my hat! I’m so proud of this thing! And I was just asked to make my coworker a hat. I even accepted it. I think that this purchase was easily the best $15 I’ve ever spent. I know there are a lot of charities that desire hand knitted hats for premie babies, children with cancer, even adults with cancer. Maybe I’ll start knitting for those things. Charities like that have always been pretty close to my heart. My sister was a premie, my mom had cancer twice before she passed, and I’ve known a few people that have had cancer as children. Anyways, I’m still working on my temperature blanket. I’m going to have a lot of colors in it. Our weather has been on one wild roller coaster for the last couple months. I’ll post pictures of it soon.